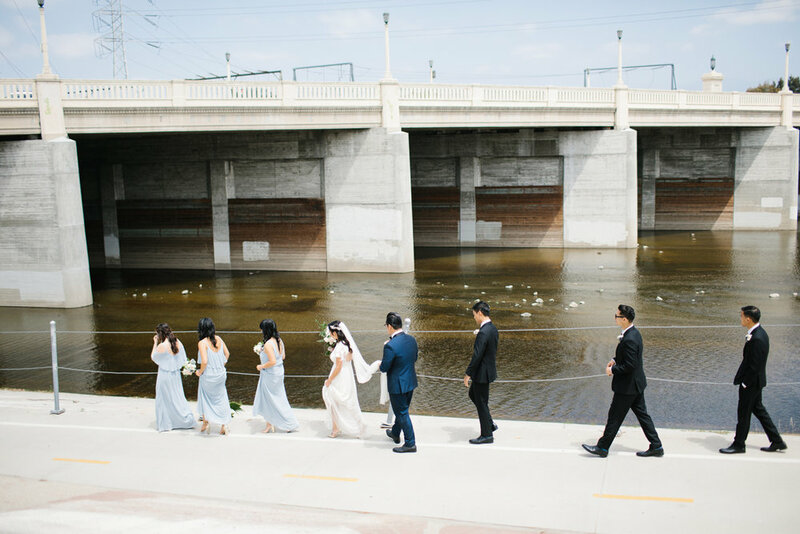 Vy and Nick had a rad ceremony at The Elysian in Silverlake right along the LA River. That particular little nook is becoming popular. I had so much fun taking pictures of the bride, groom and bridal party with all the industrial backdrops mixed with foliage. Playing with light, shapes and nature elements is my favorite :) In the venue, there were pops of color and overall, a really ideal layout. 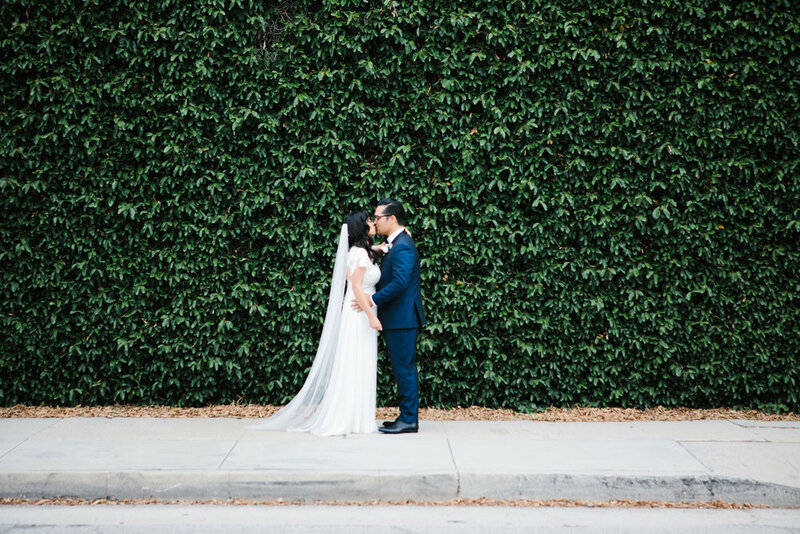 Having their own individual style, they chose to have a ceremony with the LA aesthetic that fits their personalities which is very creative. 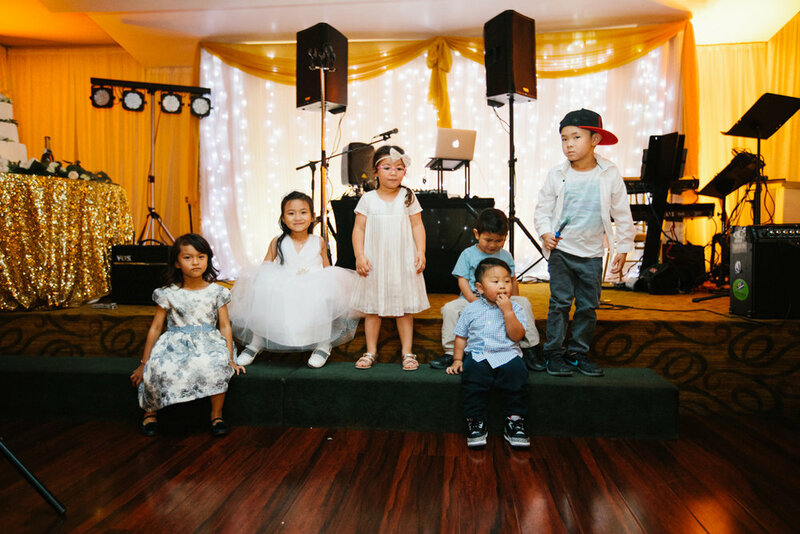 Vy has always had a job in the arts and is very hands-on when it comes to being artistic. 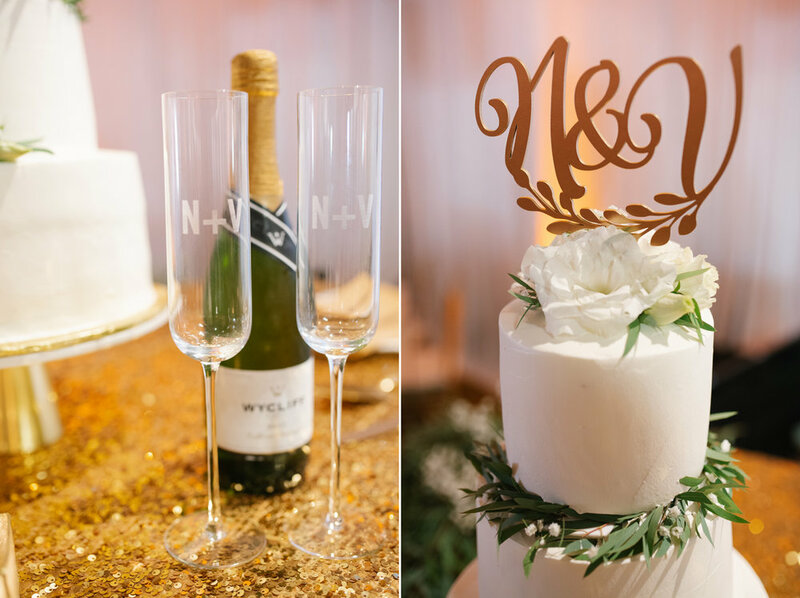 She screen printed all of the bags that were laid out for the party favors, and she also made the ceremony decorations that hung from the iron lattice. Nick is talented musically and performed a song on the guitar at the reception for her. They both express how proud they are of each other and their relationship so beautifully. 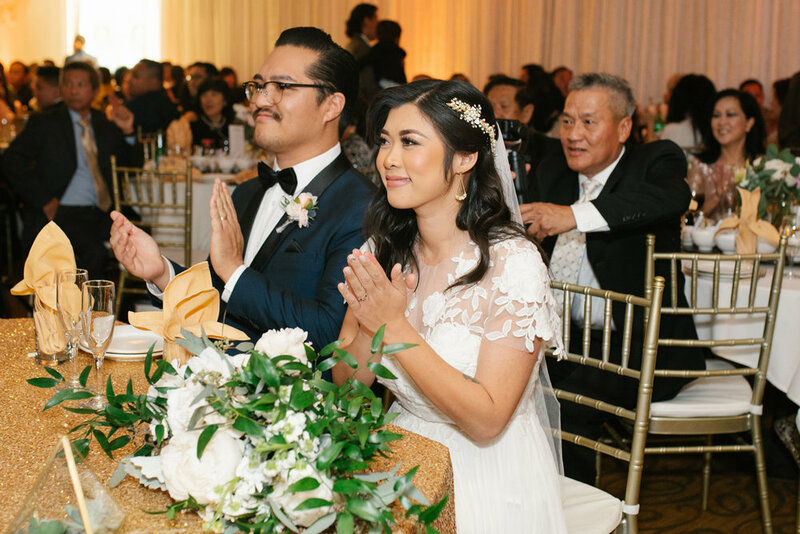 After the ceremony, they had a bigger reception at Seafood Palace in OC to accommodate their larger family and more traditional Vietnamese traditions. 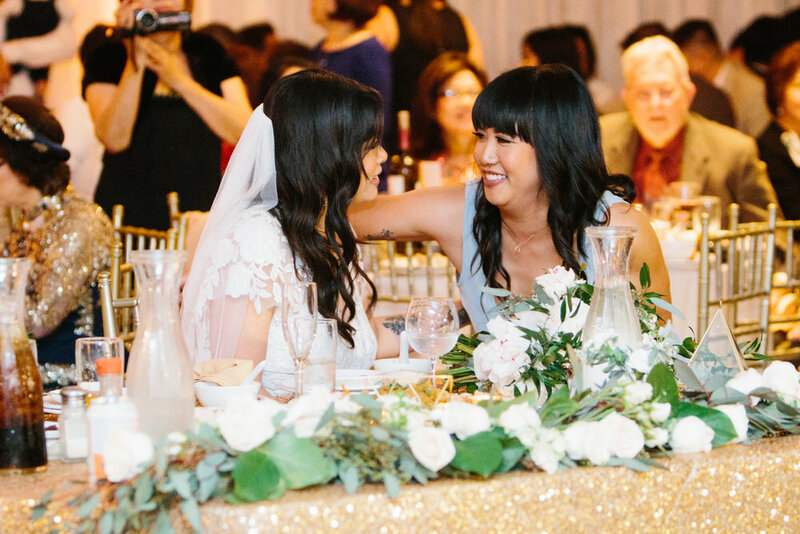 I have to admit, I get pretty excited when they said the reception is at a seafood place, because I know the food is going to be excellent and plentiful. 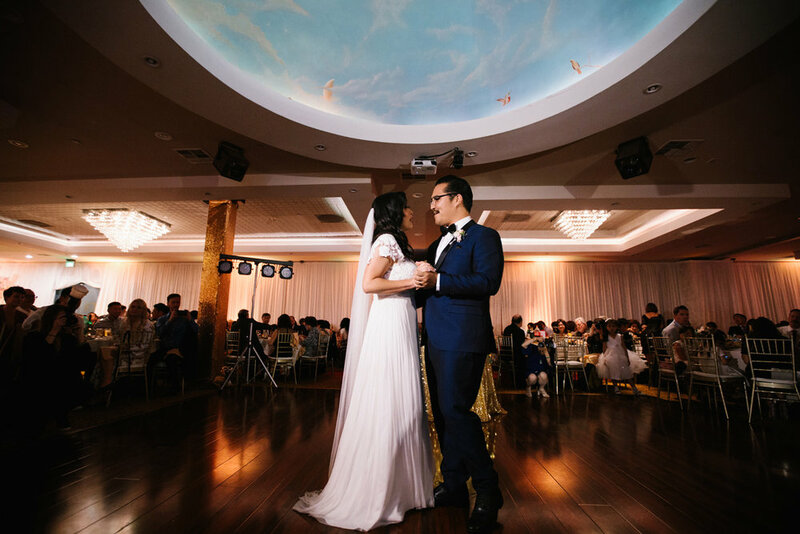 Vy and Nick accomplished having the best of both worlds and was truly a wonderful day!